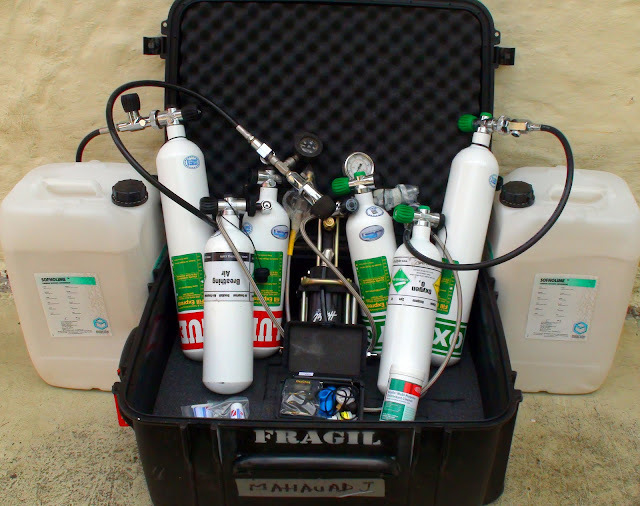 Divers coming to dive the Galapagos Islands requiring bailout cylinders can find aluminium 11,5 lt / 80 Cft or 5,7lt / 40Cft cylinders available from us. Cylinder rental can include either sidemount configuration or for regular d-ring mount. Manifolded double 80Cft aluminium and 80Cft aluminium pure oxygen serviced cylinders are also available. 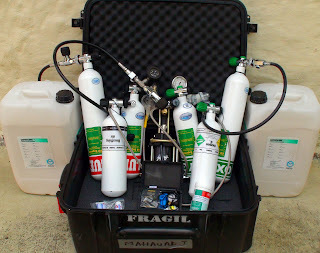 For rebreathers we have steel 2L and 3L cylinders with in line / APD style valves.